This month, we’re addressing a widely held assumption that’s responsible for a lot of debate and controversy among dog owners, breeders and even some veterinarians. There’s been so much debate, in fact, that veterinary researchers have looked into the question. Scientists with the University of California–Davis, the University of Helsinki, Genoscoper Laboratories and Wisdom Health decided to search medical records and a canine DNA database for an answer. A “mutt” (or mixed-breed dog) is healthier than a purebred dog. Like people, dogs can have or pass on a number of genetic health conditions. With nearly 700 inherited disorders and traits identified in the canine population so far, dogs are second only to people in the number of known inherited diseases. And dogs are one of the most genetically well-studied species — second only to humans. Domesticated dogs are thought to have descended from three to five wolf lineages. Since each lineage was derived from a few common ancestors, some genetic disorders would be common to all dogs regardless of their breed. Researchers have found that to be true for some of the health issues they have studied. In a DNA screening study of more than 100,000 dogs, scientists found that purebred and mixed-breed dogs can potentially suffer from many of the same inherited disorders. They also found that two in five dogs carried at least one of the 152 disease-related gene variants (known previously as gene mutations) for which the researchers screened. While mixed-breed dogs were more likely to carry a common recessive disease gene variant, purebred dogs were more likely to be genetically affected with an inherited disorder. 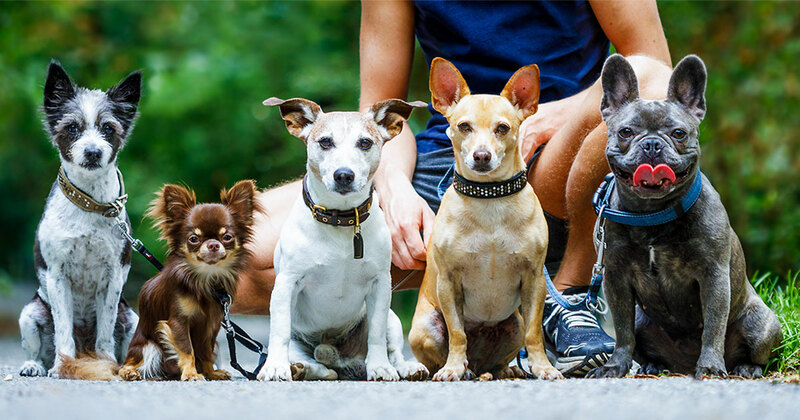 Researchers at UC–Davis found expression of genetic disorders in the dog population varies with the specific disorder. They evaluated the medical records of more than 90,000 dogs seen at the veterinary medical teaching hospital over a 15-year period for 24 genetic health problems. These disorders included various types of cancers, heart diseases, endocrine system diseases, orthopedic problems, allergic dermatitis and bloat (gastric dilatation volvulus or GDV), to name a few. Mixed-breed dogs were at greater risk of rupturing their cranial cruciate ligament (known as anterior cruciate ligament rupture in people). When the UC–Davis researchers looked more closely at the dataset of the 10 inherited conditions more common to purebred dogs, they found that the risk for seven of the 10 genetic disorders was limited to distinct groups of purebred dogs. In other words, these conditions were not more common in purebred dogs as a whole compared to mixed-breed dogs. Only allergic dermatitis, hypothyroidism and intervertebral disk disease were more pervasive across the purebred population with many groups having a greater frequency of the condition than the mixed-breed population. It depends on the specific inherited disorder. In some cases, yes, mutts are less likely to be affected by a genetic health condition. But it’s important to remember that “healthy” is about more than having a hereditary disease. Any dog, like any person, can become ill as a result of exposure to bacteria, viruses, parasites and other disease-causing agents. And all dog owners need to be prepared for that possibility.